The Google Pixel 3 XL has appeared online in a leaked video that has revealed more of the handset than any leak so far. The leaked hands-on video has appeared on YouTube from @LuchkovCH, a Russian leakster who has already revealed photos of the Google Pixel 3 XL. These had Google internal staff markings that suggest this source may be an employee or at least has a source that is. 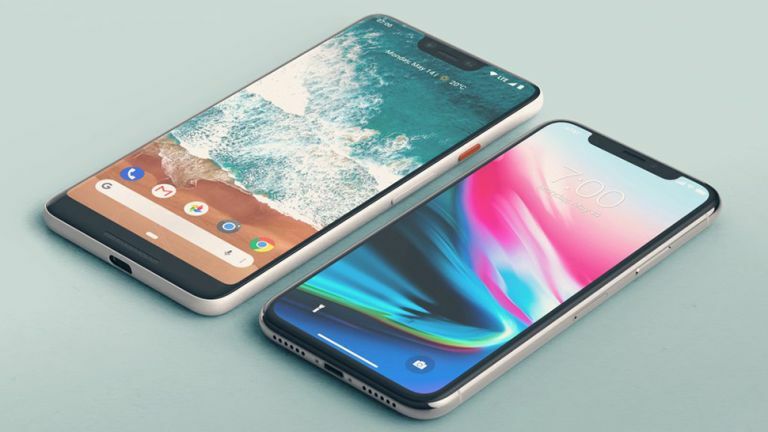 Either way, this appears to be what we can expect to see when Google launches the Pixel 3 and Pixel 3 XL around October. First and foremost there's a notch. Yup, Android Pie getting notch support wasn't just for third-party Android phones, the mighty Google will release its own. On the rear is a single lens rear camera and a fingerprint reader. The bottom features USB-C minus a headphone port but this source has already leaked images showing this will come with an adapter for a 3.5mm jack. The software running on the screen reveals the camera is a 12.2MP snapper and that the processor is a Qualcomm CPU. You can also see the new flattened home button on screen which is a feature of the latest Android Pie OS. Expect even more to be revealed, not that there's much left, ahead of the October launch event.